Innovate Literature stand is a three section portable literature rack with an elegant and professional design. The Innovate Literature Stand is easy to assemble and includes a convenient carry case for effortless transport and storage. 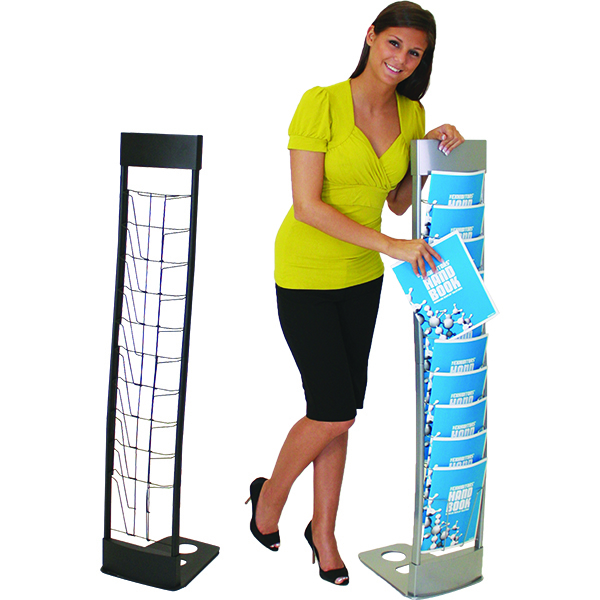 This portable literature rack is available in two colors: hi-shine silver and silk black. The Quantum Single-Sided Literature Rack offers 4 literature pockets to display your 8 1/2" x 11" high materials. The Orbus Zed Up literature rack is an easy to set-up literature dispenser that folds down for easy transportation. This item comes with a carry case for your convenience.